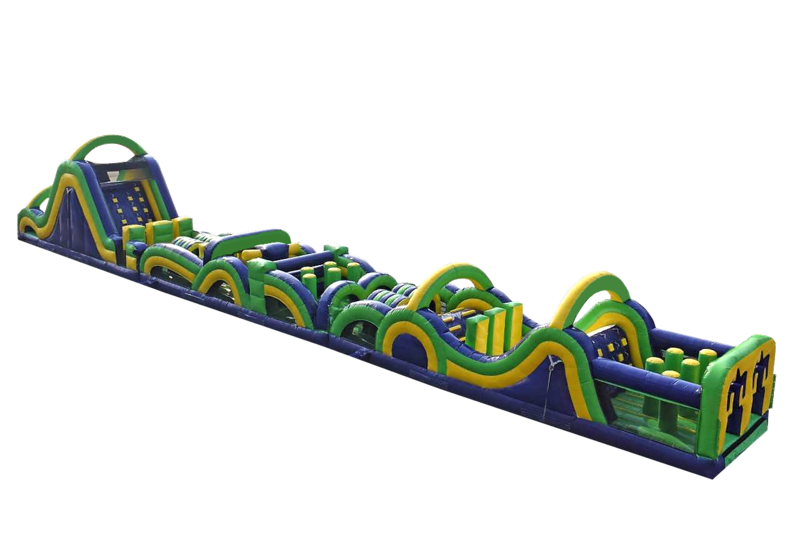 This Obstacle Course will challenge every one of your guests to use every skill... crawling, climbing, sliding and running through 95' of inflatable obstacle course to end in a rock-climbing and a double slide. 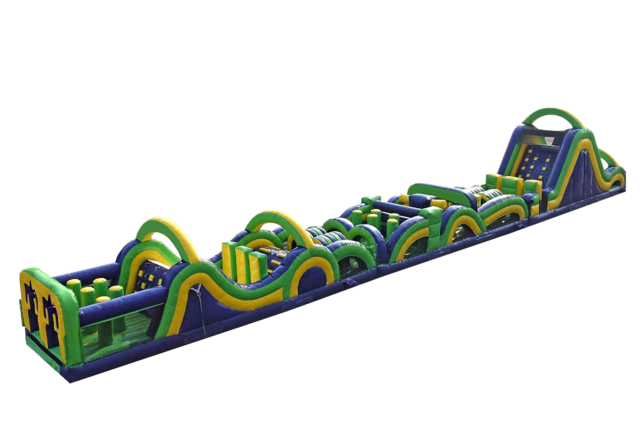 Inflatable Obstacle Courses are among the most popular inflatables, perfect for any event, festival or just an awesome backyard party. Every event it's different, but inflatable slides, Obstacle courses and interactive games makes any festival or event a success!